Paper Stamp Scissors: What's Up? Happy Friday! Hope everyone had a great week. Before I tell you about my card or this week's challenge, I want to send a huge thank you to my new followers - I am so glad to have you along! 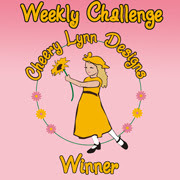 Onto this week's new challenge at Crafty Catz - it is the lovely Carol's turn to host and she has chosen the colours of summer for our challenge. 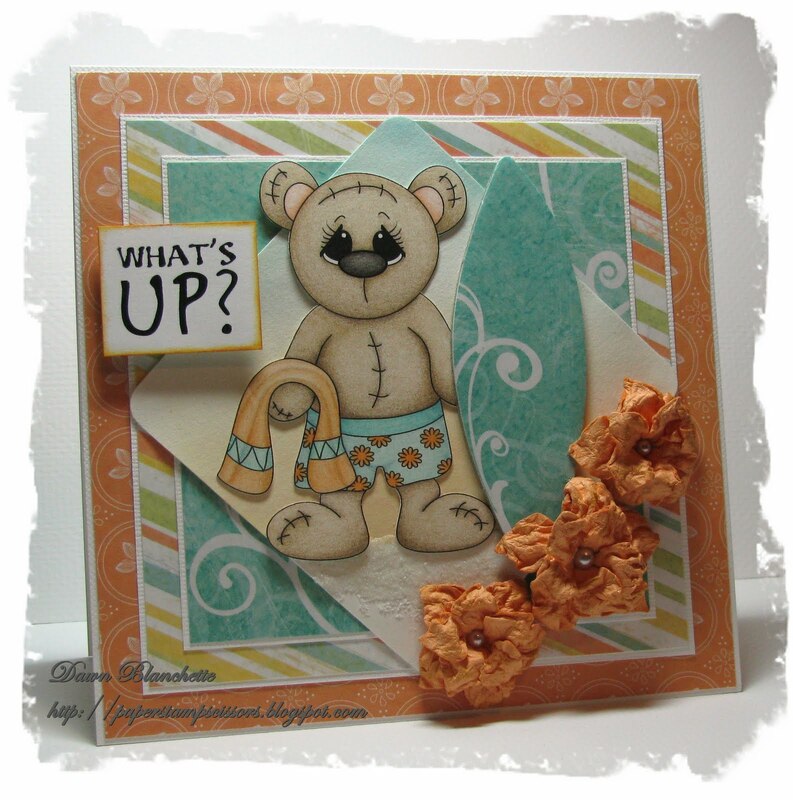 Digital Delights, our sponsor for this week, has provided us with some cute images to play with and I chose Scrubby Ted for my card. True to life, this guy got the gorgeous eyelashes - so not fair! I coloured him with pencils and cut him out. I made a background on watercolour paper to look like a setting sun (distress inks rusty hinge, spiced marmalade, pine needles and broken china) on a sandy beach and glued him over top. Other - surfboard is paper covered chipboard (Inque boutique for both); pearls; sand; flowers - are cut from Straight from the Nest Cricut cartridge, distressed, inked with vintage photo and misted with Tattered Angels Glimmer Mist in Bronze; sentiment is computer generated. Think that is it. One lucky randomly selected winner will receive 3 digital stamps of their choice from Digital Delights. I hope you will be able to join us! 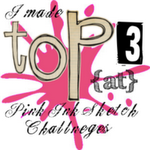 If you are looking for more inspiration, please check out the wonderful creations of my fellow teamies - they are sure to get your mojo going! Thank you so much for stopping by and for taking the time to leave a comment. 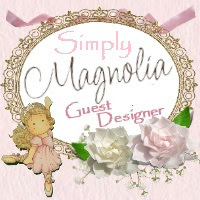 I so appreciate them and it gives me the chance to visit your blog too! Love that bear he is so cute. Great card and sentiment. I saw you on MIM and thought I would pop over. 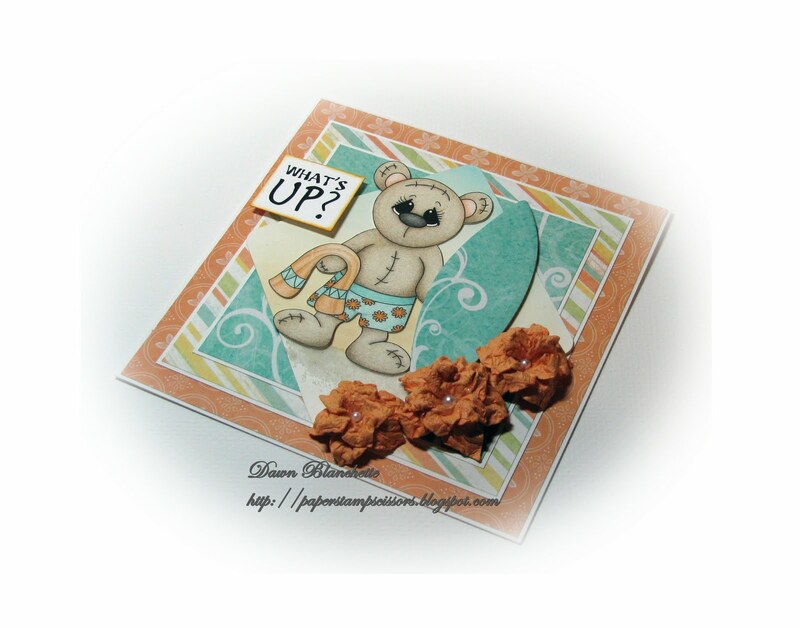 Hello Dawn .Such a cute image ..Placed on some layers of beautiful patterned papers .Thanks for sharing on Make it Monday . Thank you for joining us at Top Tip Tuesday...it's been a pleasure. Oh, just look at the expression on is ickle face! Adorable.....and that background is so effective....love your tip for the flowers, too...great job! Hope you enjoyed working with our stamps this week. Your card is so wonderful Dawn and I love this cute image and the colours! Oh my, love this!!! 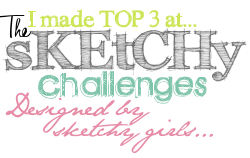 Gorgeus colouring and love your layout! Thx for linking it up to the Make It Monday party! Thanks for playing with us at Craft Us Crazy! Dawn, this is so adorable and has so many "T"s! Thank you for joining us for "T is for..." at Top Tip Tuesday!